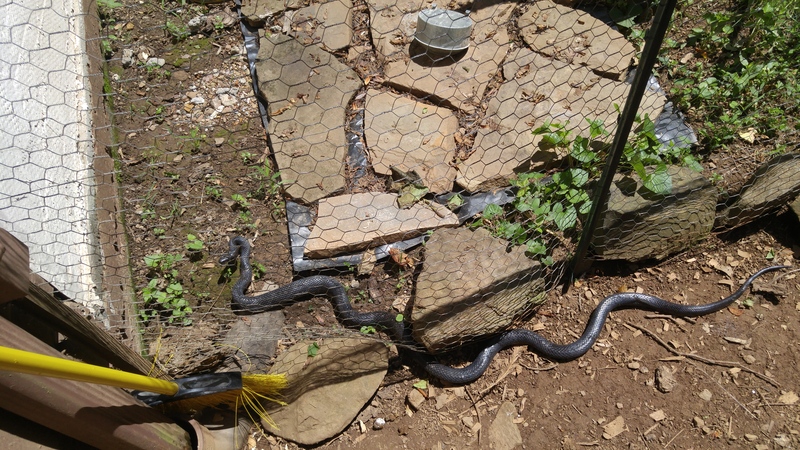 If you live in the southeast and spend time outdoors, chances are you’ve run across a black snake. These guys are not poisonous and are known for good things, like keeping away copperheads and mice. 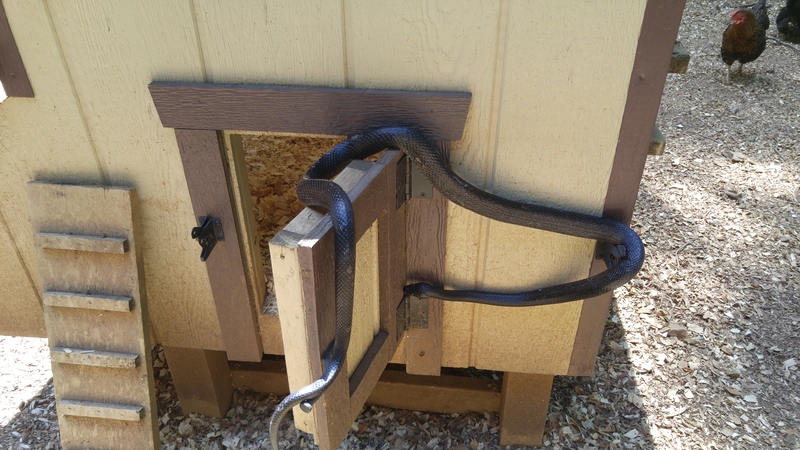 There’s a black snake that lives under our house. He was here before we moved in. One day, years ago, my husband returned from walking the dog and there was the snake, coiled up and napping on the back door step. The snake retreated to his den, which seems to be through a crack in the concrete, under the step, under the house. 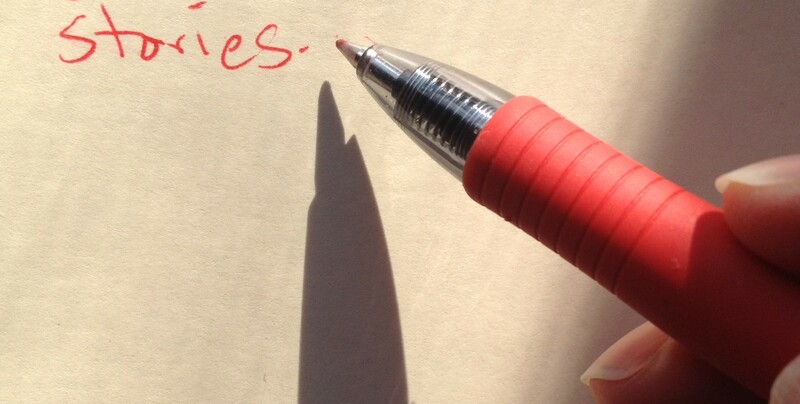 People asked, why don’t you kill the snake? Well. Why should I? He hasn’t done anything…yet. I don’t mind snakes. I certainly don’t want to come across a venomous one or spend a whole lot of time with a boa constrictor, but they do not send me into waves of fear like certain eight-legged (or six if you’re out west) crawly things. We let the black snake stay. He (or she) was big, probably five feet then, and – let’s be honest – he was there before us. Then he discovered the chicken coop. For the past few years, he’s been an occasional visitor to the coop. Once a week in summer, maybe less. After September, he seemed to hibernate and when May hit, he’d show up now and then. He’d steal an egg or two…for us, if he kept away the rodents, we were willing to give up an egg from our small flock. He likes to burrow under the woodshavings in the coop and has been locked in the coop overnight. His backside is scarred with marks from pecking beaks. He’d never hurt the hens that we saw, although one night, during a thunderstorm, he gave us all a big scare. There’s a chance, a chance, he was squeezing one of the hens. So we accept the snake. This is what led to my acceptance. Sometimes the hens squawk when the snake shows up. Sometimes not. Like this. They’re calm. Sometimes its a surprise to open up the coop to collect eggs and there he is. This was one of the surprise times. I went back and got the broom to shoo him out – the usual method. And for the first time, I saw him with the egg already in his mouth. I’d never seen anything like it. I wasn’t a science kid, I’d never seen a snake eating up close. 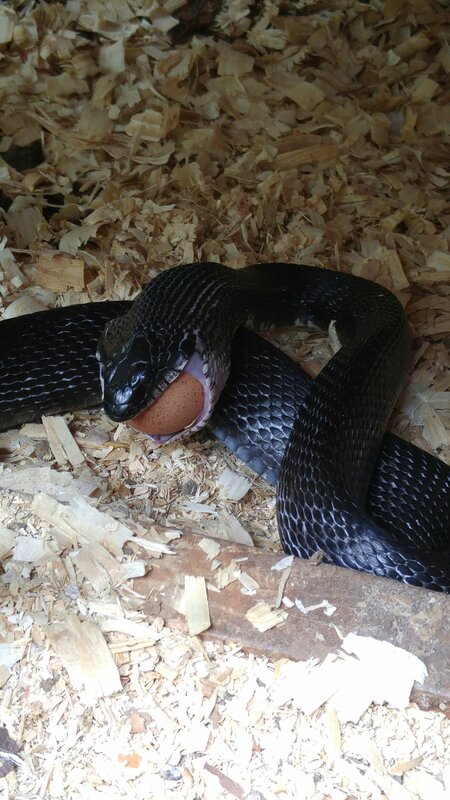 It was amazing, to me, to watch him unhinge his jaw and swallow that egg whole. The entire process took about a half hour. I sat about a foot away and recorded him. The egg made its way past his throat, and into his body. I think I even heard a crunch of the crushed eggshell. After he swallowed the egg, he rested in the coop. 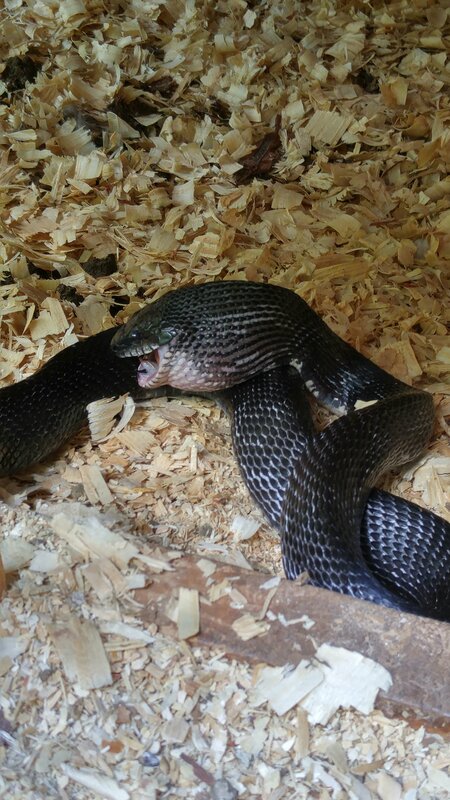 Snakes don’t move much after a meal. I even lifted him out with the broom and he just slithered to the porch step to rest some more. I was fascinated. But I was also late for graduation (I teach, if you’re wondering). So I lifted him over the fence, where he curled up in the grass and warmed up in the sun. I can accept this reptile who is doing his thing. He hadn’t hurt the hens and as long as he was limited to a single egg, this could work. I might just have a new pet.